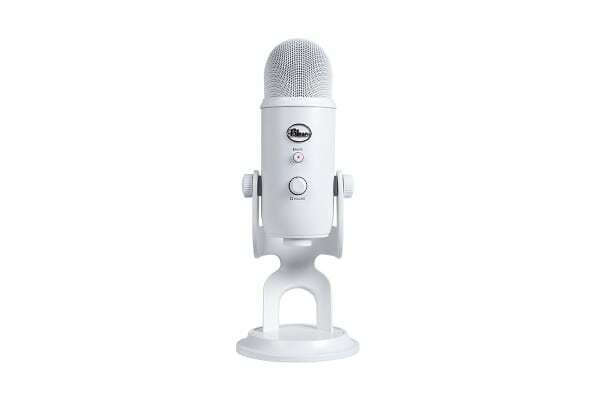 Create unparalleled recordings with your computer using the Blue Yeti 3-Capsule USB Microphone. Thanks to Blue’s proprietary tri-capsule technology, Yeti microphones produce pristine, studio-quality recordings with legendary ease. Four different pattern settings offer incredible flexibility so you can record vocals, music, podcasts, audio for video, interviews or even cryptozoology lectures in ways that would normally require multiple microphones. Whether you’re recording at home, on the road or in the Himalayas, the Blue Yeti 3-Capsule USB Microphone helps you produce studio-quality recordings every time. Yeti features studio controls for headphone volume, pattern selection, instant mute and microphone gain – putting you in charge of every level of the recording process. If you’re experiencing distortion or feedback, simply adjust the microphone’s sensitivity with the gain control. Or if you want to take a break in the middle of a podcast, use the instant mute button. 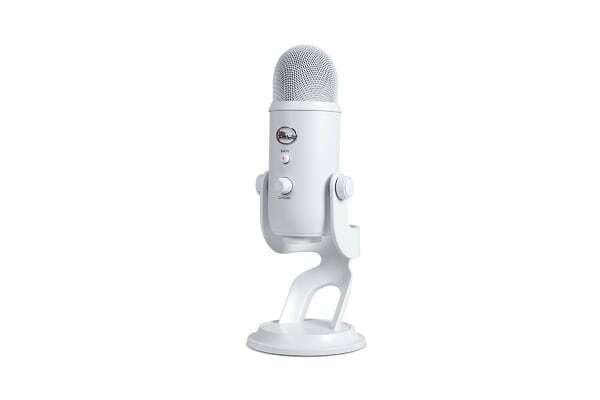 Yeti doesn’t mind getting pushed around – it lets you adjust and pivot the microphone in relation to the sound source, which optimises your sound quality. Once you’ve achieved the desired angle, simply hand-tighten the set knobs to secure it in place. 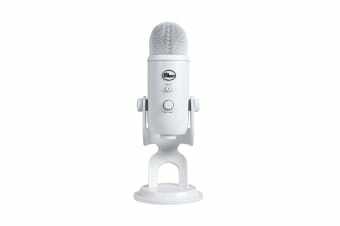 Yeti is a side-address microphone, so you can capture the best sound by going face-to-face with it. 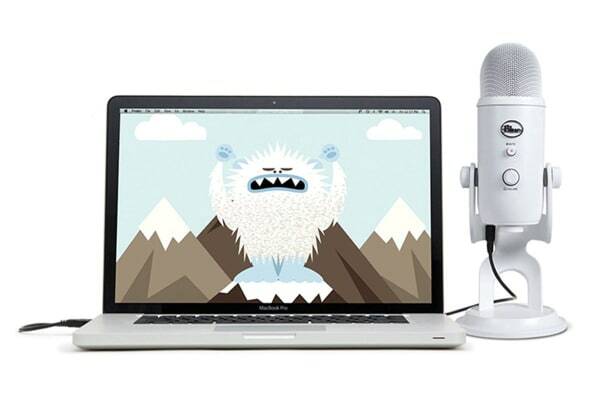 Simply plug Yeti into your computer’s USB port with the included USB cable, calibrate it with your operating system and you’re ready to record. Yeti is compatible with Windows 10, Windows 8 (including 8.1), Windows 7, Windows Vista, Windows XP (Home and Professional) and Mac OS X (10.4.11 or higher) and requires a minimum of 64MB of RAM.